It's time to try out some smooth twists to the south of Spokane. We will be heading through the rolling hills near Rockford, Fairfield, Latah, and Tekoa where we will take a break for some coffee and a bio break, The roads are pretty clear and the weather should be decent. That is according to the long term weather forecast. This ride is very similar to the rally ride from a few years ago with some minor tweaks. Garrick and I really enjoyed the pre-ride so we are excited to be on the road with some of our riding friends. After a break at Tekoa we will head east towards Hwy 95 in Idaho before heading north towards for the Fighting Creek gas station for another break and potential gas for those with small gas tanks. 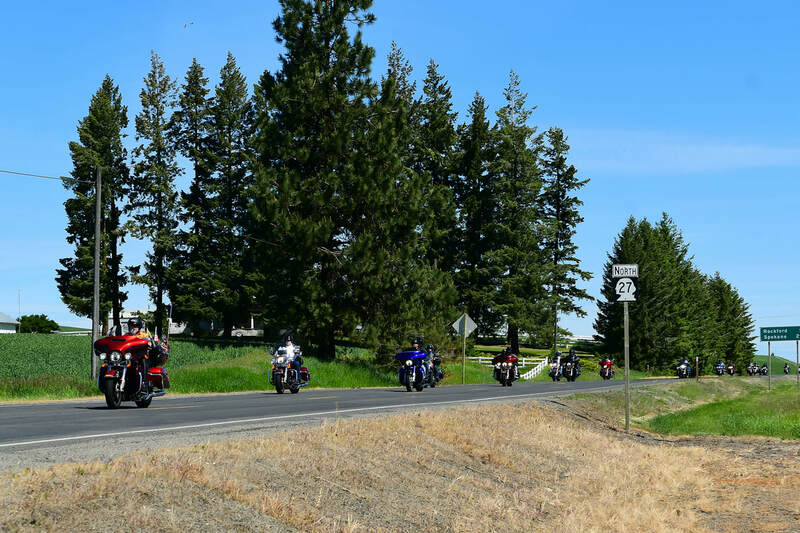 After leaving Fighting Creek we will continue north to the Riverview Road for our final set of curves until we finally cross the river into post falls for our kicks down meal at Roger's Ice Cream after the ride. I realize that many have you have ridden these roads before. I would encourage you to come along and enjoy the roads that we are blessed with and sometimes take for granted. The ride is 137 miles and roughly 3-3.5 hours. Sign ins for this ride will be at Saturday April 13th, with registration at 11:30am at LWHD with KSU at 12:00 noon. Garrick and Jim hope to see you there!! !